You'll be hard-pressed to find anyone whose productions we enjoy more than Modeselektor, and you'll be hard-pressed to find them on finer form then they are on this killer new twelve, the first taster from their "Happy Birthday" album that's also released this week. "The Dark Side Of The Sun" features the Puppetmastaz on vocals, a novelty act whose towering status in Germany is only matched by their total lack of profile on these shores. Their droll delivery is only one of a myriad elements that make this track so good, because the first thing that comes to mind as the twelve unfolds is just how inspired Gernot and Szary have become with their beats. I mean, they were always pretty impressive - but the edits here are just on another level. The influence of Dubstep and Grime looms large over proceedings here, with the low-end rumbling and dropping throughout, but the sharpness of the edits is just so righteous that quite frankly it wouldn't matter if Kermit the frog took to rhyming "it's not easy being green" over the top, it would still sound ridiculously LARGE. An instrumental and some useful scratch edits polish off the a-side, before the uber-hip 2000 and one deconstructs the track into a motorik techno burner on the flip. 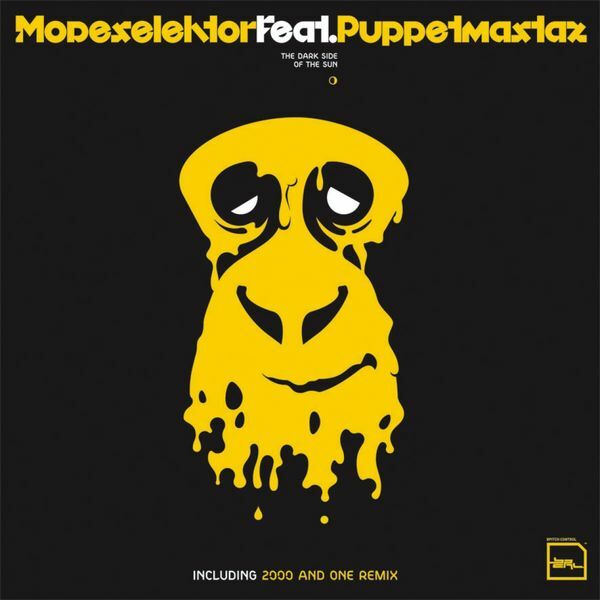 All in all, a killer twelve, and once again indispensable stuff from Modeselektor.